﻿ Best Price on Oceana Hostal Playero in San Juan + Reviews! Located in San Juan, within 7 km of Fort San Felipe del Morro and a 4-minute walk of Ocean Park Beach, Oceana Hostal Playero features accommodation with a garden. With free WiFi in public areas, this 2-star hotel offers a tour desk. 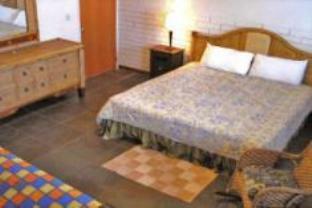 The property is close to popular attractions like Barbosa Park, El Teatro and Contemporary Art Museum. All units in the hotel are fitted with a TV with cable channels. Rooms are complete with a private bathroom equipped with free toiletries, while certain rooms also offer a seating area. Oceana Hostal Playero offers an outdoor pool. Contemporary Art Museum is 2.6 km from the accommodation, while Condado Lagoon is 2.6 km from the property. The nearest airport is Luis Munoz Marin International Airport, 6 km from the property. If the holder of the credit card used to guarantee the reservation is not one of the guests checking in, the cardholder must send written authorization to Oceana Hostal Playero to charge his/her credit card for the total amount of the reservation, including tax and fee. No reservation will be confirmed until such written authorization is received by Oceana Hostal Playero. Hotel contact details are provided on the booking confirmation. Upon check-in photo identification and credit card are required. All special requests are subject to availability upon check-in. Special requests cannot be guaranteed and may incur additional charges. Please Note: The lobby and the third floor will be undergoing renovation and will remain closed. A separate entrance has been provided for guests to pass without being disturbed by the remodel. We stayed here for one night prior to joining a cruise as it was the only place available at a low price on Boxing Day. It certainly wasnt worth. Breakfast was included but we didn't get to try it as the girl was so slow we gave up and ate in the local supermarket cafe. It has a pool but it didn't look very clean If I'd paid about £30 then I might have said you get what you pay for. The surrounding area didn't feel very safe. The beach was good. comfortable hotel but it didn't have an elevator so you might want to request 1F rooms if you have a heavy suitcase. Staff helpful with luggage and tour information. Located in a residential area but beach is behind the hotel. Only 4 free parking spaces!! this hotel is within two blocks of ocean beach and on a main city street. room was on third floor and no elevator. there is no desk,table or chair in room. does have drawer space and nite stand. overhead light has two sockets but only one 25 watt bulb with dark yellow shade. nite stand light has one 25 watt bulb. can not see in room to read.bath has overhead light that is ok.sink and mirror has two sockets and no bulbs. very dark. breakfast is at your table and consists of two pieces of white toast, hard butter,grape jelly,one banana and one cup of coffee. as we were checking out we ask clerk for advice on another hotel to go to and he was unwilling to give any help a all. We enjoyed our stay here. It is walking distance to supermarkets and bus-stops, the beach and nightclubs. the night receptionist was extremely helpful and friendly. The pool area/restaurant is beautiful but the food is a bit overpriced. The con with this place is that the showers are very weak. cheap and comfortable hotel! And with a big bathroom！Great location! By the way there is a great restaurant near this hotel which is called Kasalta. We eat breakfast there everyday! 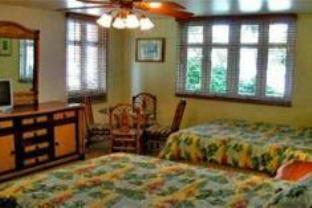 nice room with low price, good position, good room, good service, free parking, good food. the rooms are great and cleaners and staff are all very nice. the food is very good and well presented with breakfast.i would definately go back. the weather was great, the beach is best. I was most disappointed with the my accommodation at the Oceana Hotel. The room was deplorable. The towels were all worn. The second day, they brought us three (3) different colour towels, again all worn. Maid service never arrived until 4:20pm to clean our room. No telephone in the room or even at the front desk for the guests. I really think that place needs a major clean up. Tree leaves falling into the pool with its water very dark. I am afraid that I cant recommend this service to anyone. I do feel treated with the rate I was quoted for this so-call 3 star hotel. I really dont know what's going on... I am experience traveler with 42 years working with three airlines, so I know what guest service is all about as well as quality standards and value for money. We couldn't speak Spanish at all but staff are so helpful and they were so nice. Rooms are not so old and free wireless is so fast. clean, quiet, vegetarian rest. on location. Most persons at desk helpful but, only 1 person to do all, rest., check in, & help with anything else. Had to ask for face towels at first, then clean ones after that, not much area to sit in lobby if not in rest. & you had to eat or move from tables, even tho there was no one else around. They ran out of ice 2 out of 8 days. No butter 6 out of 8. Cont. breakfast was skimpy at best. This was not a bad little place for the money conscientious. There were a few things they could have improved very easily to make things a little better. Clean face & hand towels & access to ice without saying, "sorry, tomorrow it will be in". Breakfast could have a little variety, Toast, banana, very small danish & coffee or juice. Every day for 8 days, needs a little help. Pool has virtually no place to lay & sun. Must go on roof for that. Authentic atmosphere, 50 meters from the sea, cheap, polite (although weired) staff, away from the crowded tourist area, walking distance to the supermarket and breakfast/dining areas (i.e. restaurants). Quite, rich and safe neighborhood to walk around 24/7 with plenty of patrooling police. Buses run to the old San Juan area regularly or drive your rental. Free parking and free breakfast (that, however, isn't really worth staying in for). The place was in a stage of a long-term (meaning slow-moving) renovation project from its original 80's to the ultra contemporary 00's with a lot of touches of expensive new old-looking furniture pieces that don't really look right yet given the amount of cosmetic work that yet has to be done prior to furniture upgrades. No uniformity in their rooms as they all look different inside- which, arguably could be a good thing as well. Take in account hispanic "siesta" and don't expect the breakfast to be fully available at promised 8am. They will start preparing it at 8am. So if you need to get out early- eat at the dining two blocks east of there up the same street. No night-life in that area- need to go to the old SJ. This is a very unique place to be at as it offers great price, guest-house-like feeling and a nice location for vacationeers. The main lobby, restaurants, bar and the pool are all located in a very tight spot and make it a cool place for pictures. There's a tree that grows right from the restaurant up through the roof. It's a cozy place to have your siesta. The rooms are not five stars, not even full 3 :), but if you consider that not your expectancy shouldn't be as of a regular ubiquitous western type hotel. It's more like an authentic guest house, inn or even a hostel than a hotel. Our crowd of 25-30 year-olds certainly did enjoy this experience! Would stay there again and recomend to others who like to experience something different. 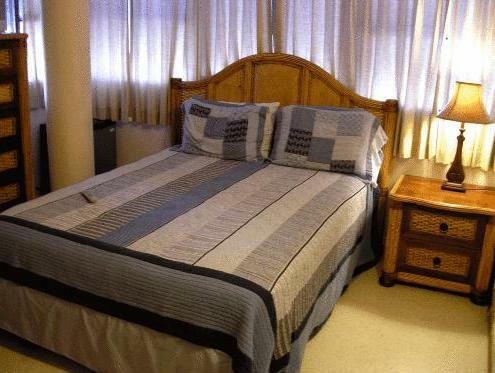 close to beach, friendly staff, parking on premises. quaint rooms. Good place just to lay your head at night. Close to old san juan. one person runs everything, front desk, bar, and resturant. could be a little more organized. Water pressure isnt the best in the showers. Very disappointed, small hotel 2 blocks away from the ocean and not walking distance from the happening places. Rooms were dirty and small,beds creeked even when you if you switch sides at night. TV did not work properly. All in all not worth the amount that I paid, I would value it at $40/night. Thye boast of this swimming pool, you bathroom tub will probably be bigger than that pool. Free breakfast- thye serve breakfast, if you ask for another coffee they will charge you. Great Small homie feel and very intimate and romantic. The rooms dont match the exterior and need some inmporovement. This hotel was very cute and romatic, close to the beach and the pool was so cute. Me and my friends loved it. With in walking distance was a super market, clothing stores and the Beach. Great choice for a friend get-a-way and for couples check it out. Good location, staff was very helpful, near good beach, chairs and towels provided for beach. water pressure could be stronger. This bed and breakfast is good value for the money. 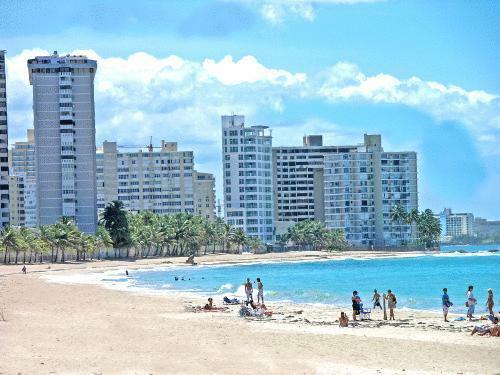 It is located near Ocean Beach in Condado, a safe and clean enjoyable beach. It is also accessible to a bus that takes you down to Old San Juan where the historical sites like the Fort El Morro and quaint shops and restaurants are located. There's a bakery, drugstore and Carribean food restaurant nearby. Continental breakfast is served daily so one does not have to waste time in the am and just go about their itinerary. Beach chairs and towels are also provided. No big hotel amenities, but "homey" and comfortable setting. Cet hôtel est une horreur du début à la fin. Chambre insalubre,inacceptable,draps extrêmement sales. Douche : très sale, pas d'eau chaude. Fuite d'eau dans les chambres. Petit déjeuner : une tranche de pain et un café ou un jus d'orange (dégoûtant) et si vous souhaitez une tranche de pain en plus, c'est à votre charge !! Nous y avons séjourné une nuit pour un transfert, cela a été le pire hôtel que nous n'avons jamais vu, cet hôtel est vraiment à déconseiller, même pour une nuit. l'état de propreté meme si le ménage est fait ,laisse à désirer. hotel pas cher par rapport au tarif habituel que j' ai coutume de trouver à san juan .Arrivés le soir avec mon fils nous avons vite déchanté le matin devant le décor de la chambre quelconque avec un frigo vide un climatiseur bruyant des têtes de lits amovibles qui au moindre mouvement tapait sur le mur.bref ... une salle de bain dégoutante un évier qui suinte avec un bac récupérateur d'eau puante de quelques mois. je n'y retournerai pas et ne le recommenderai pas à mes collégues ou amies non plus. hallo, ich bin sehr zufrieden mit diesem hotel! wir konnten leider nicht einchecken weil wir unseren Flug nicht nehmen konnten. Der Asche Vulkan in Island hatte uns den Flug nicht ermöglicht. Denoch haben wir das Geld von dem Zimmmer 100% wieder erstattet bekommen. Ich finde das ist eine sehr Menschliche vernünftige Entscheidung des Hotel betreibers, weil bei der Bestellung des Hotelzimmers die Erstattung eigentlich nicht möglich ist. Ich bin vollstens zufrieden mit diesem Hotel.